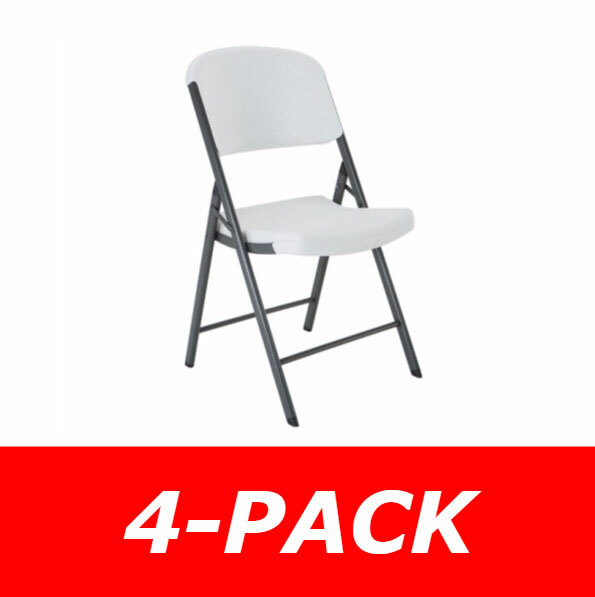 Looking for utility table, and gardening table, a wood shop table, or a portable patio table? This Lifetime model 80216 is great for using inside the shop, outside gardening, trade shows, crafting, and for hosting guests. 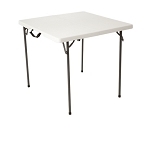 The table has a convenient carrying handle for convenient carrying and transportation. Because it fold up flat and folds in half this is a great table to fit in the trunk of a car. The table top is nearly impossible to stain and holds up in the hot sun and pouring rain. Many customers who order to model 80216 use it for trade and craft shows. It is convenient and quick to set up and will last you years. It includes a one year top to bottom manufacturer?s warranty. 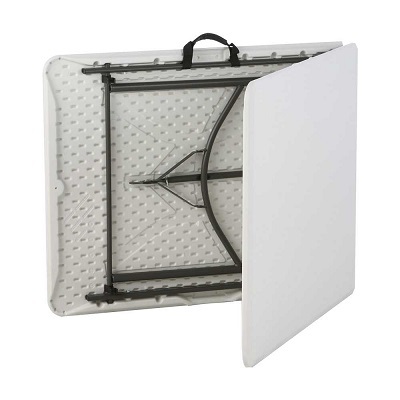 This Fold-In-Half lifetime table is great for displays in churches and at weddings. 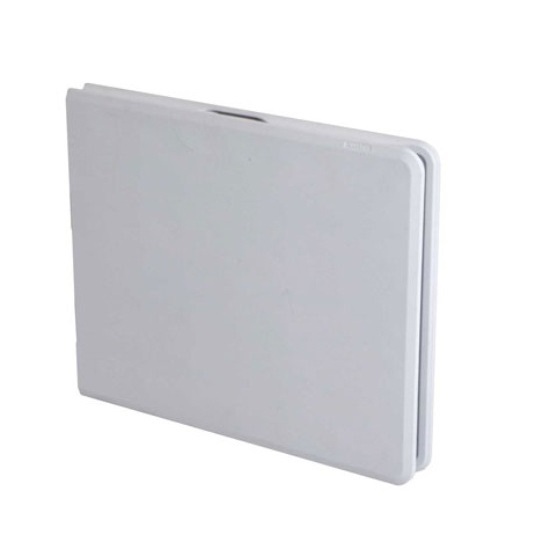 It features a contemporary stylish design without compromising quality. White Granite Color ? meaning white with tiny dark flecks. A: You'll want to contact lifetime at 800-225-3865 for more information about locking it and unlocking it. 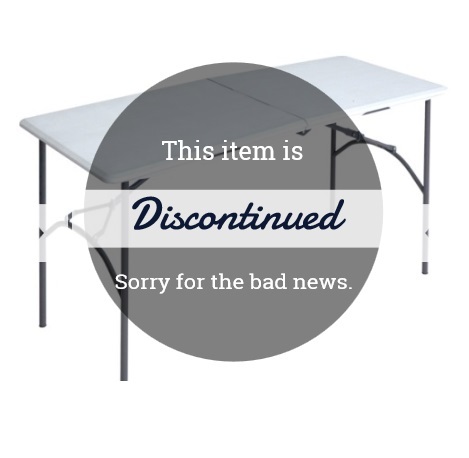 Q: How long will this Lifetime Plastic Craft Table last? A: Lifetime Products has designed this to last many years. It includes a 1 year warranty. Meaning, it will last a lot longer than just one year. Q: Is it difficult to fold and unfold? A: It's very easy to unfold the 80216 model table. Only one person is required. It takes approximately 30 seconds. Q: Is model number 80216 suitable for institutional use? A: This table is often used for business purposes. We recommend the solid table tops for something that is daily use, however. Model number 22920 for example. 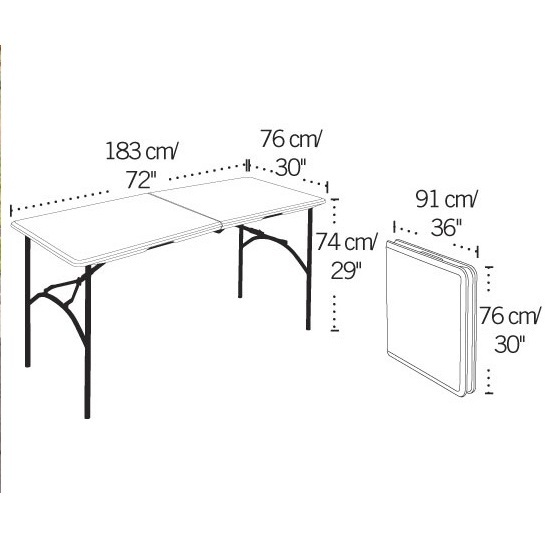 Get fast and free shipping on this portable craft and tradeshow table. Orders generally leave the warehouse within 2 business days. These basketball systems ship via FedEx. FedEx will simply leave the package at your doorstep if nobody is home. This item generally takes 5 to 7 business days to receive. If you notice damage to the box the table is most likely still in perfect shape. The boxes are designed to take a beating. However, if there are large holes or obvious damage just give us a call and we?ll get it replaced for you at no cost. Once your order ships out we automatically email you the tracking information so you can keep an eye on it and know when to expect it. Dimensions: 36" x 30" x 3"